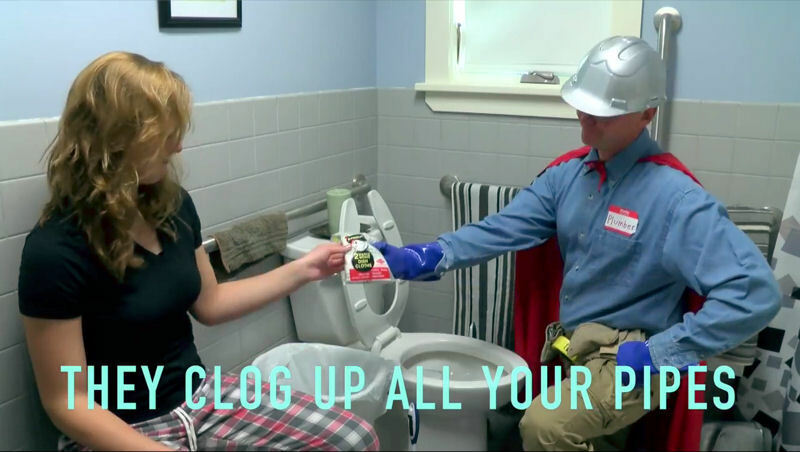 The City of Keene, N.H., worked with high school students to create a music video advising against flushing wipes; rags; towels; fats, oils, and grease; and other items that can clog pipes. Photo courtesy of the Cheshire Career Center TV and Film program at Keene (N.H.) High School. The video, which played regularly on Keene’s local television cable channel, draws attention to misleading product labeling for items that should not be discarded down the toilet. 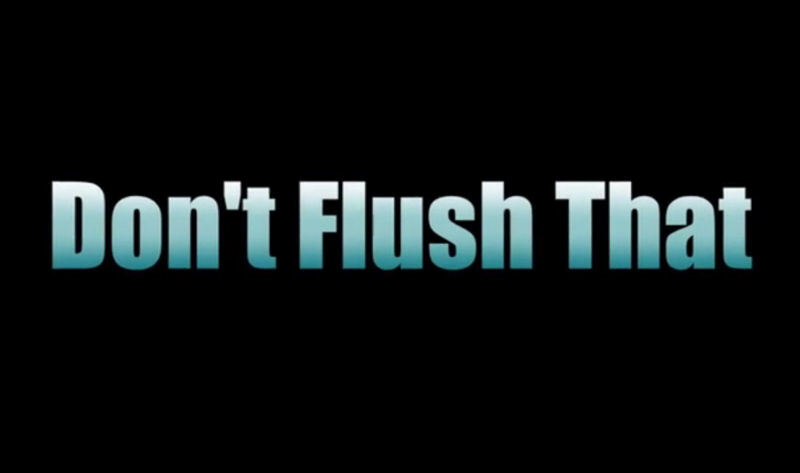 The “Don’t Flush That” song, set to the tune of Bruce Springsteen’s “Pink Cadillac,” uses humor to educate about items that should not be discarded down the toilet. Photo courtesy of the Cheshire Career Center TV and Film program at Keene High School. Eric Swope, industrial pretreatment coordinator at the Keene Wastewater Treatment Plant, said inspiration for the video came from the Singing Sewermen. “I thought those [public service announcements] were pretty funny and relayed a message in a way that people might respond to,” he said. Swope, who is a big Springsteen fan, worked out the lyrics while driving to and from work. Then, he contacted Keene High School and received assistance from students in the school’s Digital Film Studies program.